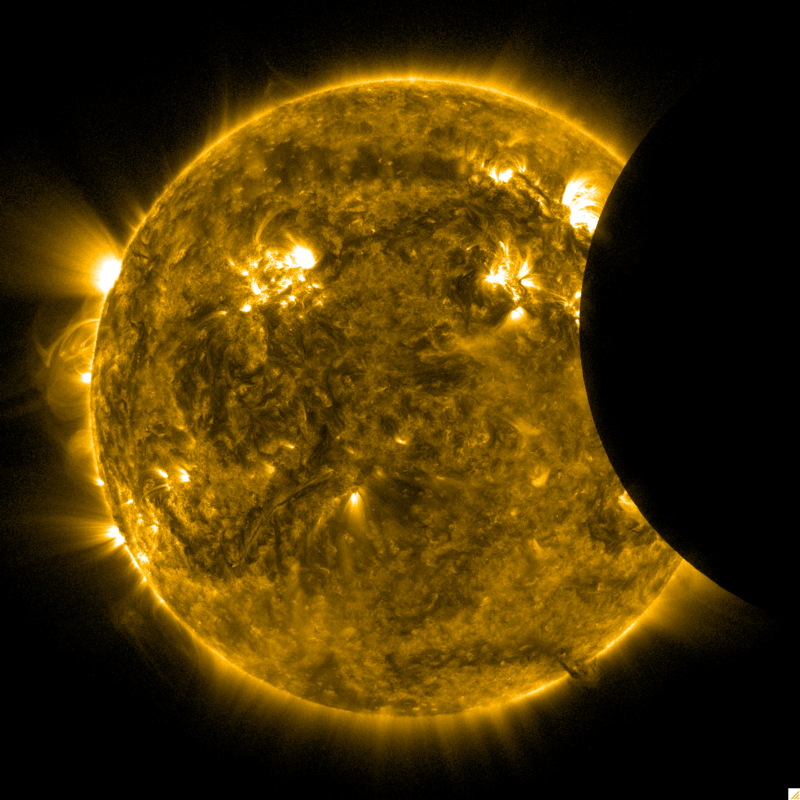 Here is an image of the Sun as the Moon moves off the limb at 1427 UTC (0947 am ET) today. It was a fairly shallow transit, but the Moon covered a bright active region. This caused a dip in the EVE output and may allow scientists to calibrate the energy emitted by the active region.